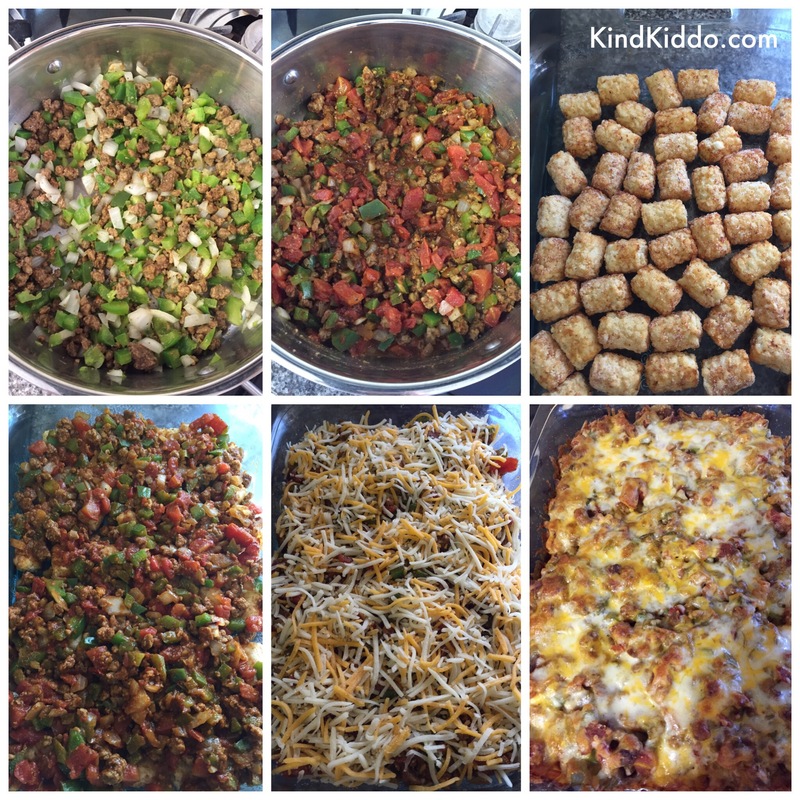 I love a tater tot casserole, and I love tacos. So, OF COURSE it was delicious when I mashed the two things together. 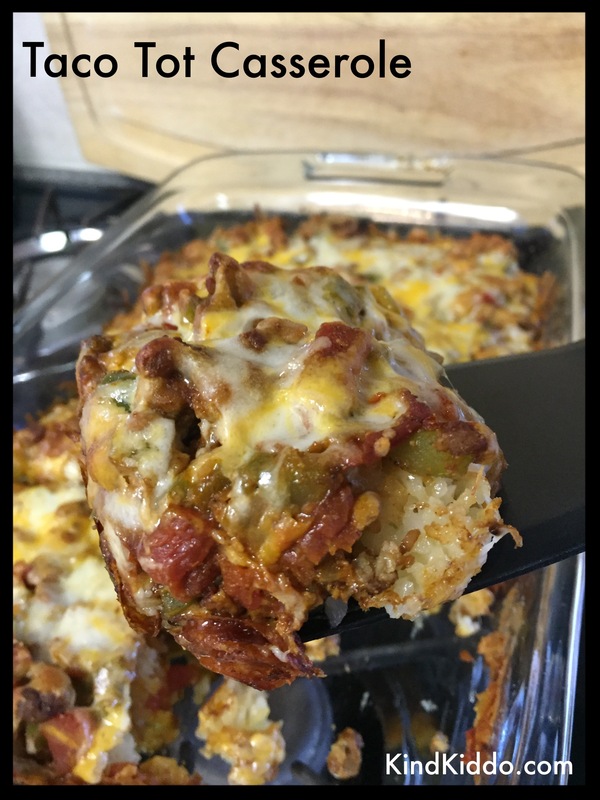 Here’s my super duper easy, rather nutritious and very tasty Taco Tot Casserole recipe. Sauté the bell pepper, onion and protein until veggies are tender-crisp and protein is cooked through. Add rotel and taco seasoning, and stir. Spray casserole dish with cooking spray. Cover bottom of dish with tots. Spoon mixture on top of tots. Sprinkle cheese on top of mixture. Bake according to tot package instructions. Top with sour cream, salsa or nothing. Enjoy!